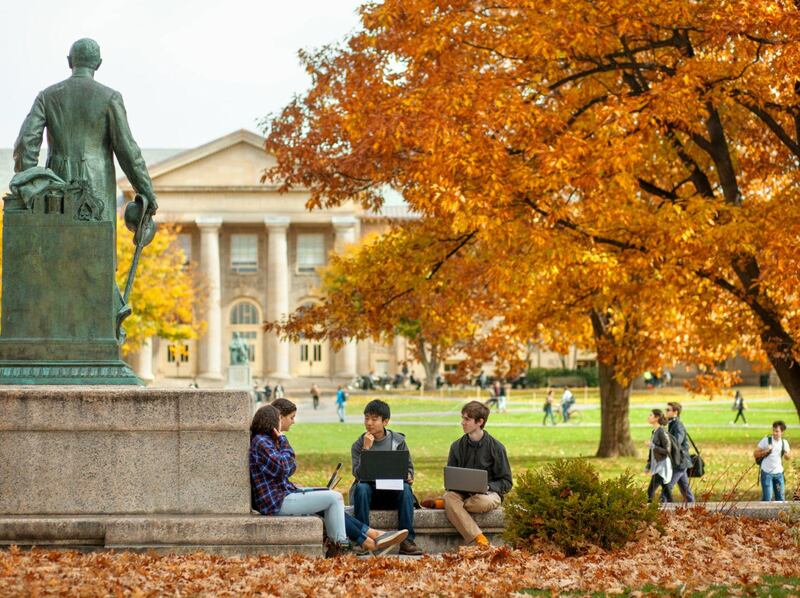 Cornell acknowledges the brand recognition and user activity of other platforms such as LinkedIn and continues to see it as a viable platform for Cornell connections; however, CUeLINKS remains Cornell’s university-wide online knowledge-sharing platform. 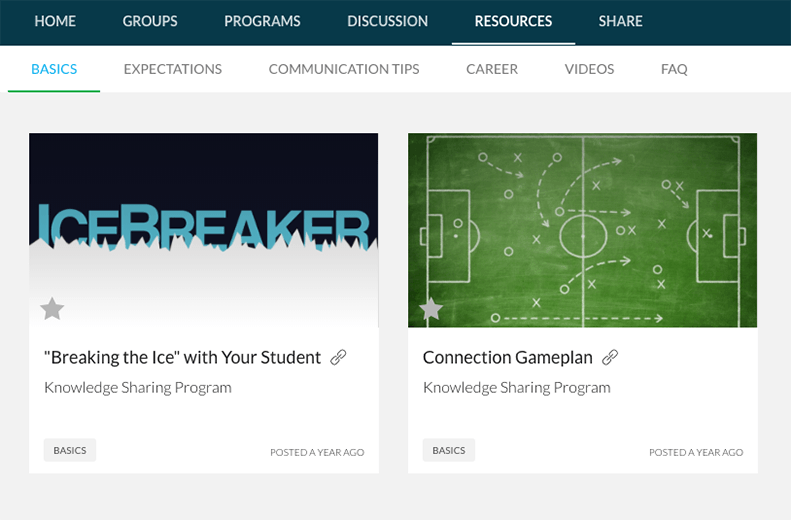 CUeLINKS (Learning, Informing, Networking=Knowledge Sharing) is Cornell’s university-wide knowledge sharing platform. 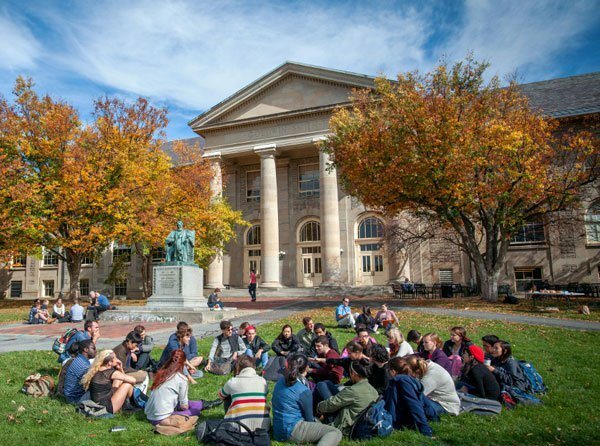 It connects students with alumni to get the most out of the powerful Cornell community. Create a profile and start sharing your expertise and experience one-on-one with Cornell students. Volunteer your time based on your schedule and interests. Here’s how. 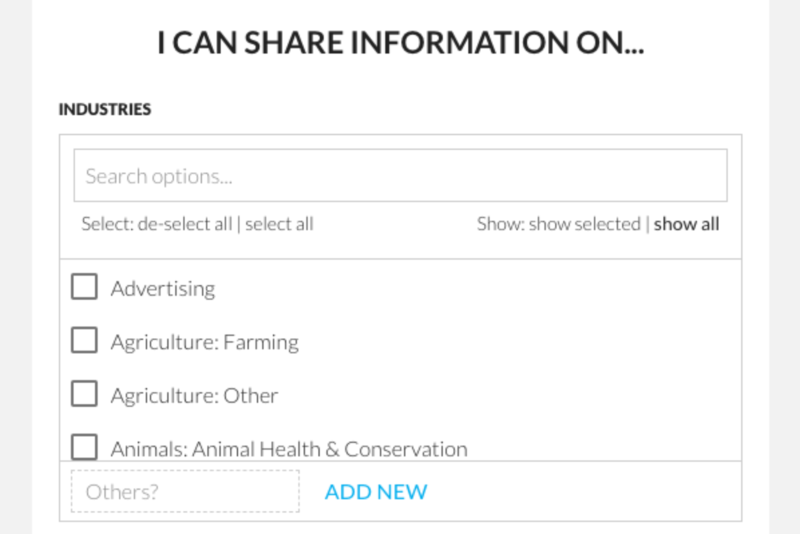 Manage your profile, get messages, and join discussions from your dashboard. Customize your profile based on your areas of expertise. 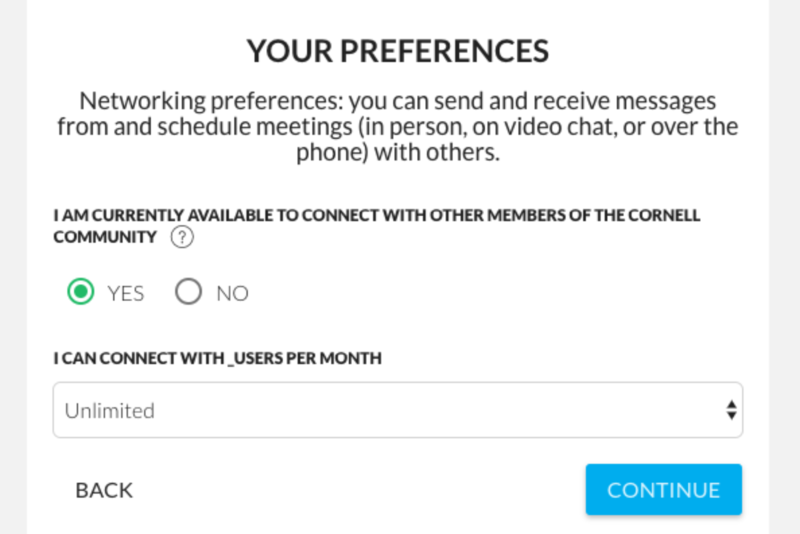 Set your availability and control the number of students you connect with. 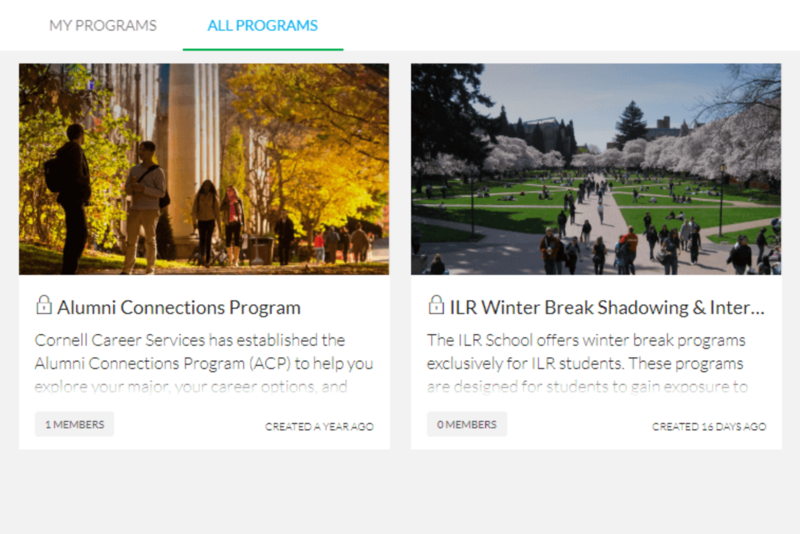 Find campus-based programs that help connect alumni with students. 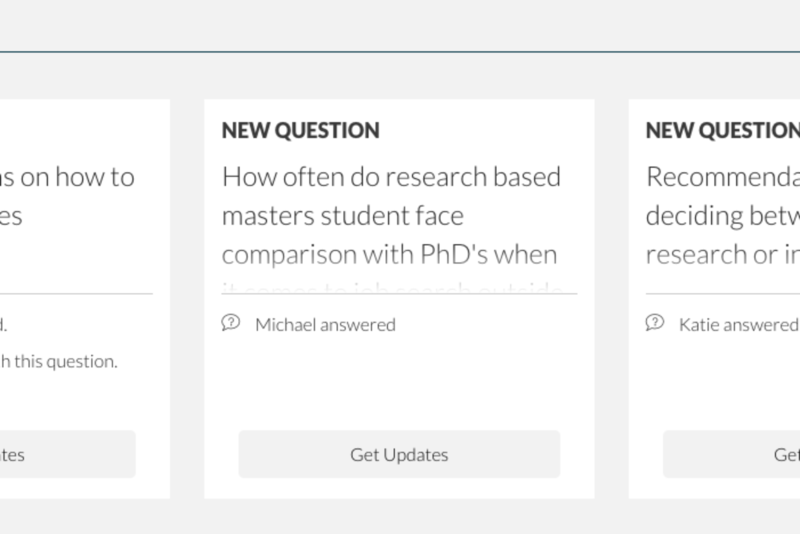 Respond to questions from students on the discussion boards. We’ve got some basic tips to get you started. 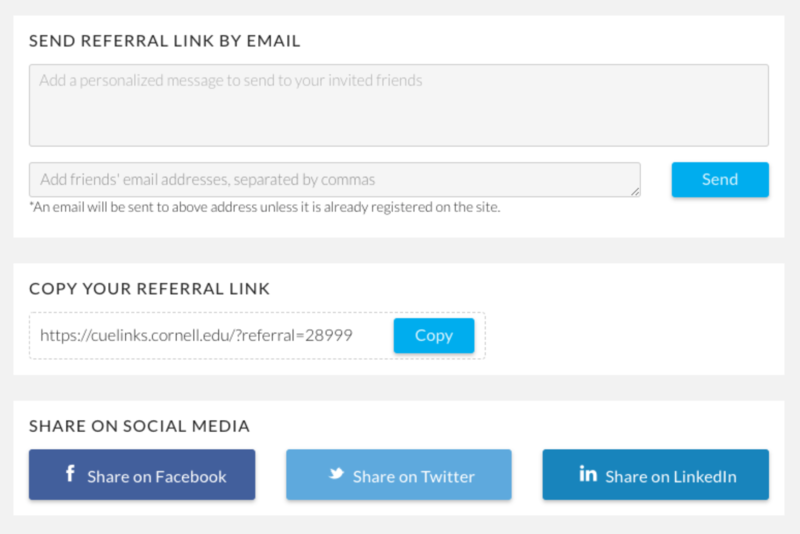 Get your friends involved through the referral page! Students need information that others have: on navigating Cornell, deciding on career paths, and making life choices. 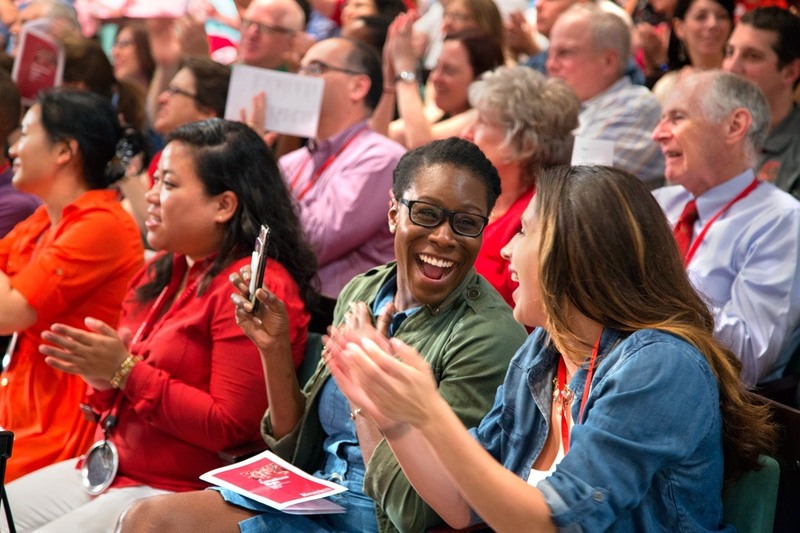 Cornell’s alumni network is a significant benefit and resource for students. CUeLINKS offers an advisory board model for personal and professional knowledge sharing. 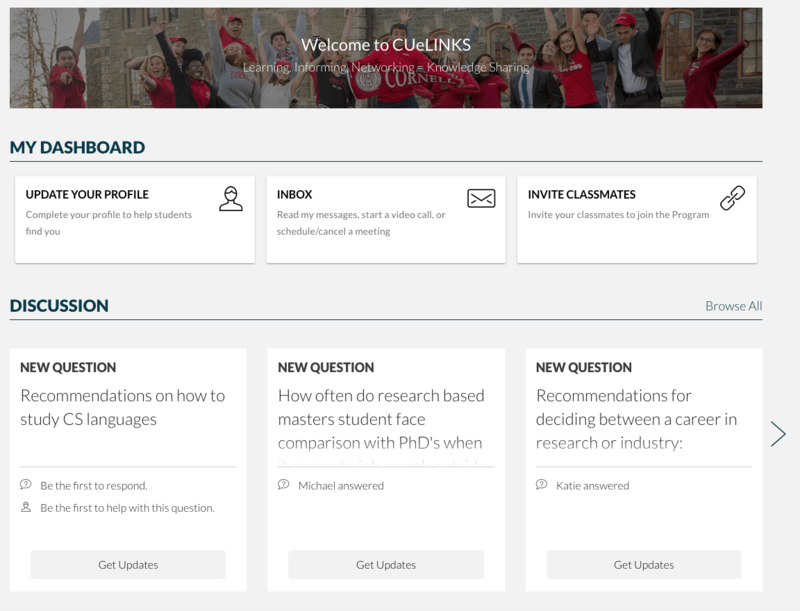 CUeLINKs a university-wide knowledge sharing platform. Cornell students can benefit greatly from your guidance as a part of the Cornell network. Volunteer your time based on your schedule and interests.